The S&P 500 rebounded sharply to kick off 2019 climbing 7.9% for the month. Since a large portion of our net worth is tied to the stock market our net worth saw a nice bump. Of course the dividends that rolled in helped as well. 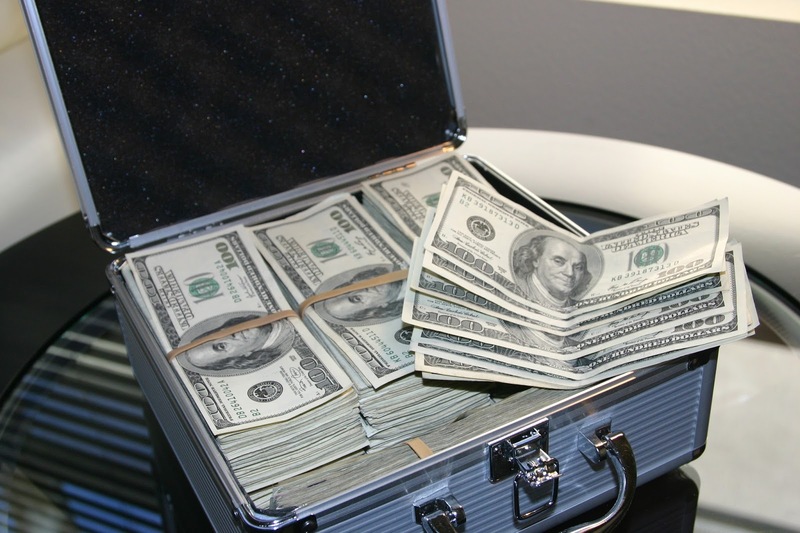 During January my net worth increased $26,117.85. That's a solid 5.12% increase compared to the end of 2018. That only made up for ~40% of December's drop; however, December included the addition of a car loan for my new car as well as the asset write-down, just on our own books, of the vehicles. I don't consider our vehicles assets noticed that I had them included in the calculation for the asset side of the net worth. The liabilities were unaffected by the write down. Our main goal for 2019 continues to be reducing our non-mortgage debt. 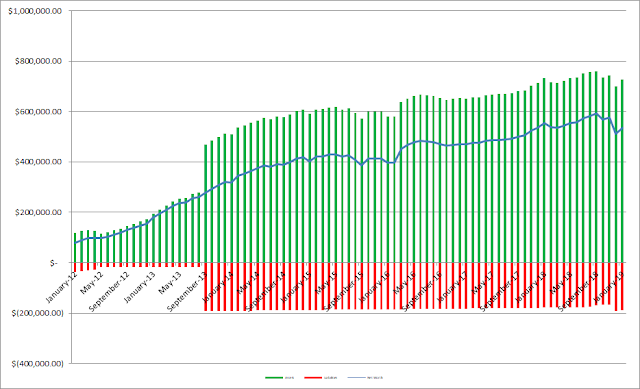 As of the end of January we have a roughly $31k non-mortgage debt balance so we'll have our work cut out for us. However, for the time being conserving extra cash is going to take precedence since we have a new baby on the way coming in April! 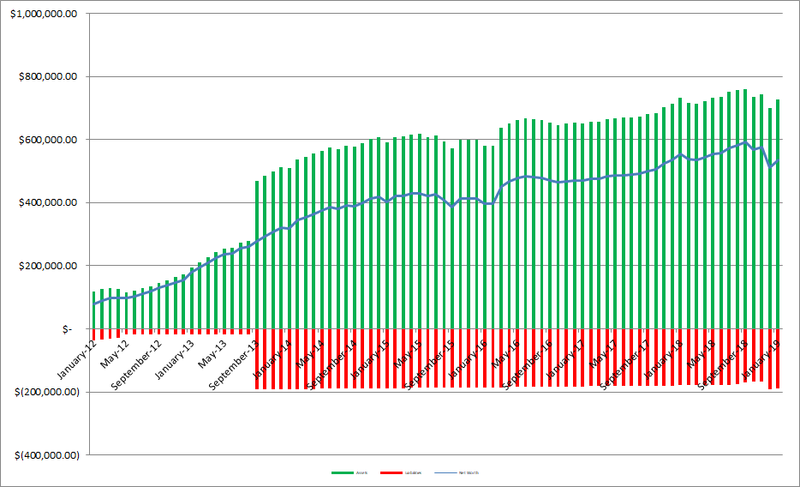 As of the end of January we have 27.3% equity in our house based on our purchase price from 2013. However, according to Zillow our house has increased in value around $27.1k from our purchase price which is a nice bonus, although I keep the purchase price as the value in the net worth equations. Based on Zillow's estimate the equity in our house jumps to 35.3%. Since I write so much (or at least try to) about investigating companies as an investment I figured it'd be fun to see how our balance sheet looks. 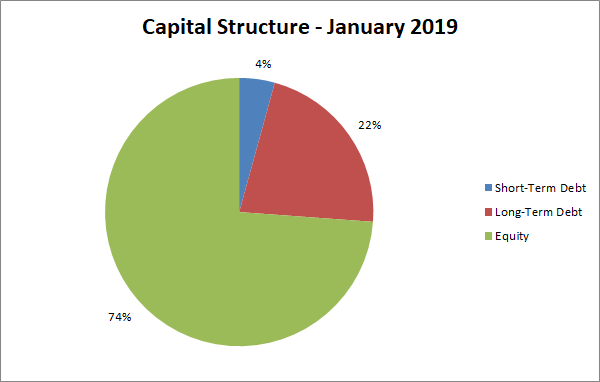 As of the end of January our debt to equity ratio is 35% and our debt to total capitalization is 26%. Not bad, but I can't wait to get that debt down to ZERO! 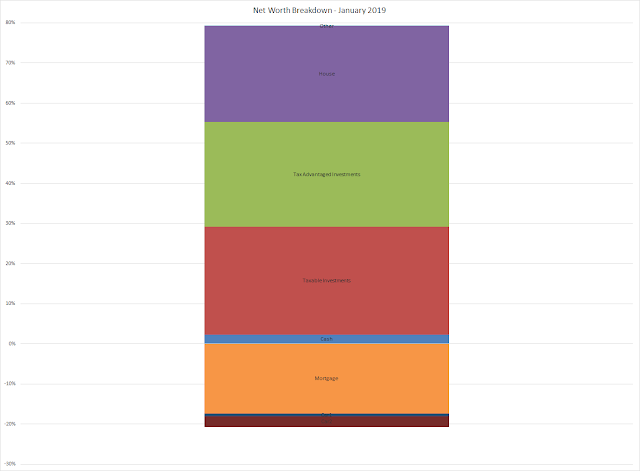 Did your net worth ride the markets to a strong start for 2019?